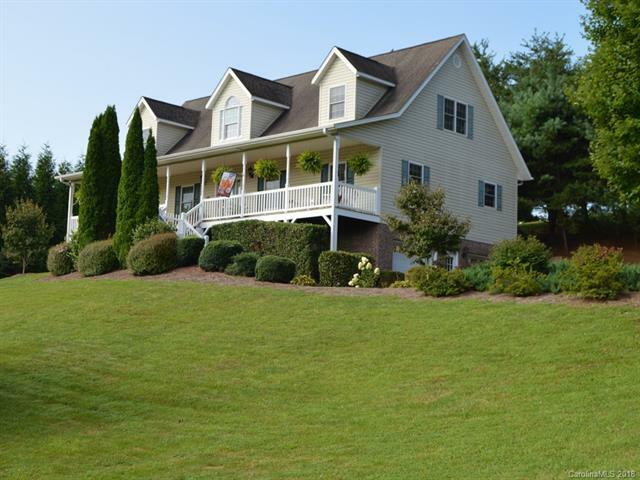 Super Weaverville location, minutes to shopping, dining, etc. Cape Cod style home with 2-story entry, 2nd floor loft with split guest bedrooms, main level master suite, 9' ceilings and beautiful wood floors on main, huge kitchen with dining area, breakfast counter and built-in computer station. Dining room c/b office or playroom or hobby room. Lives big on finish-able basement, plumbed for full bath. Lots of parking including upper drive space for main level access. Great package, move-in condition, private with full-length covered front porch, views. Open back deck for grilling/entertaining accesses the upper drive on once side and a large level side yard on the other side which could be fenced for pets or play area! Sold by Pete Bleykhman, Broker.